“Fortunately the recordings were made under the guidance of Walter Spies, the painter, musician and long-time resident whose intimate knowledge of Balinese culture was so freely given and so often benefited the work of others (Rhodius 1964: 265; Kunst 1974:24). 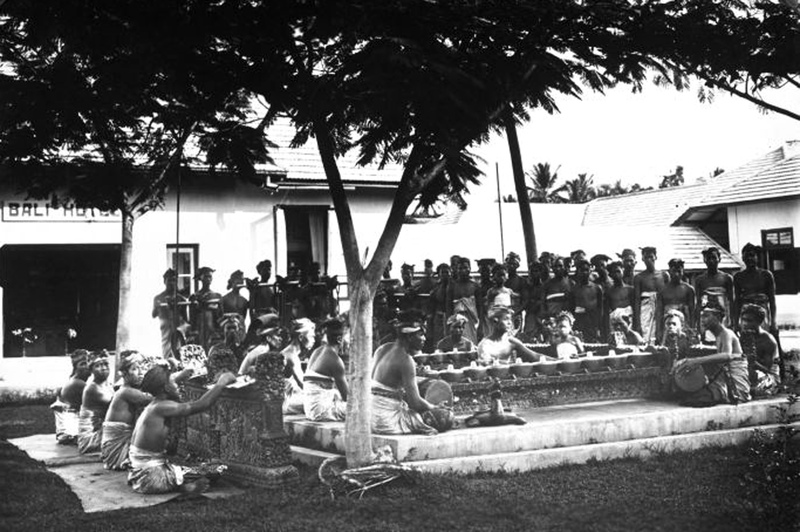 Although limited by the medium to being three-minute excerpts, they consequently are remarkable examples of a broad range of musical genres – vocal as well as instrumental – and many outstanding composers, performers and ensembles of the period who are now famous teachers of legendary clubs – I Wayan Lotring, I Nyoman Kaler, and the gamelan gong of Pangkung, Belaluan, and Busungbiu. These invaluable sound documents of the musical and family heritage of the Balinese include styles of vocal chant rarely heard today; Kebyar Ding, a historically important composition that has been relearned from the recordings by the present generation of musicians, whose fathers and grandfathers made the original discs; and records of renowned singers that are considered even sacred by their descendants, who keep tape copies in the family shrine.